Meet Trusty! This special pup is looking for a loving home where he can take it easy with his favorite people. Adopt Trusty today! Big fan of: Hanging out with his friends! Trusty is an easy-going fellow who loves meeting new people. He enjoys relaxing and lounging, and can even be a bit of a couch potato. This small pup walks very well on his leash—he’ll stick right by your side when you’re out for a stroll. 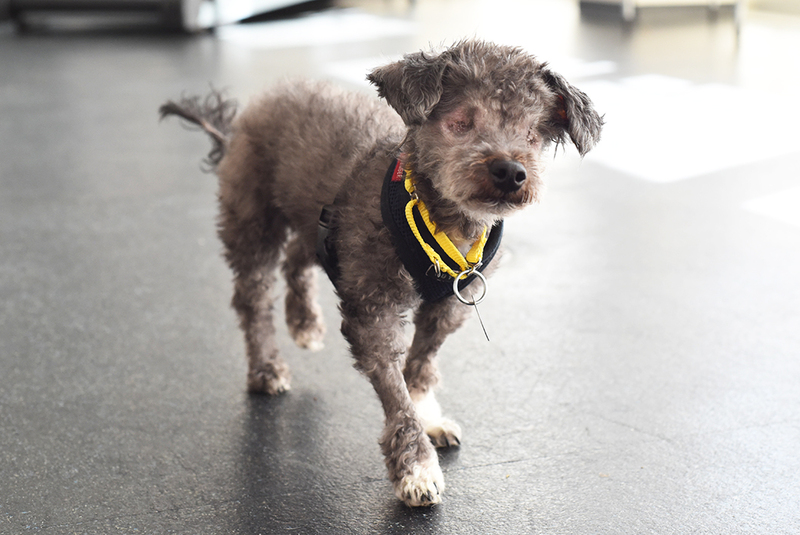 Special features: Trusty is blind, and will need some time to learn his way around new environments. He also has an underactive thyroid, which is easily managed with an inexpensive daily medication. 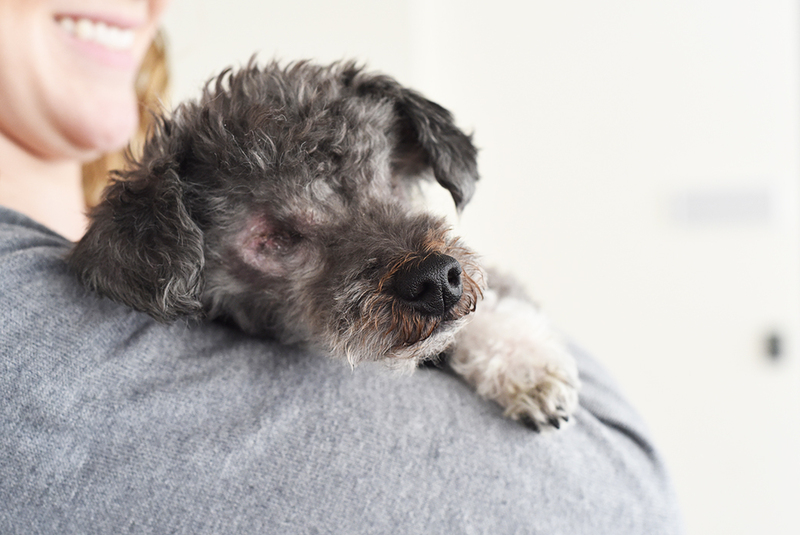 Trusty is still able to live a happy, active life despite his medical conditions. In his previous home, Trusty may have been housetrained. With guidance, this smart pup will adjust to his new surroundings and continue to only use the bathroom outside. He should be brushed and groomed regularly. Dream home: Trusty may be able to live with another dog friend, but should meet them first in a one-on-one setting. He would like to meet an adopter with some previous dog experience, and can join a home with kids 6-and-up.